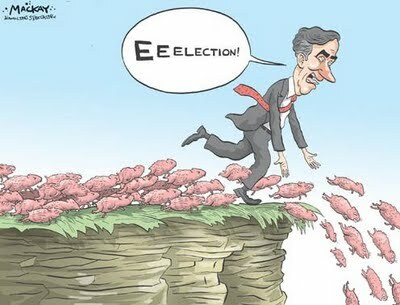 The minute Canadians find out about Ignatieff's plan for a fall election, Liberal numbers will tumble! "Michael Ignatieff’s Liberals are ready to take on Stephen Harper in a federal campaign as internal polling shows them up three percentage points from the last election and just six points behind the governing Conservatives. The new data was presented to the Liberal caucus Tuesday afternoon by Michael Marzolini. The party pollster did not discuss election timing. Rather, he indicated that during the next election –_ whenever it comes – the Liberals will be competitive with the Tories." Liberal Lemmings 2.0 - Iggy Not Afraid Of An Election! Something happens to Mr. Ignatieff each year as summer ends. It is a bravado driven insanity that speaks to the core thinking of the Liberal Party and its misguided sense of entitlement to govern. Go Iggy Go! The long suffering Liberal Party of Canada continues to stagnate in the polls. Many Liberal activists are starting to come around to the fact that their perceived 'entitlement' to govern is not going to be embraced by Canadians again any time soon. Michael Ignatieff has done very little to endear himself to the nation and Liberal fortunes are stuck in the current quagmire of Canadian politics. The Conservatives are stuck in the same quagmire and there is very little room to grow for both of these Right leaning political parties. The Bloc remains fixed in their Quebec stronghold and the NDP is challenged to find room to grow as well. Welcome to Canadian politics - 2010. Like it or not, it is the will of the people that no one party is being given the blessing to form a majority government. Harper will not win a majority in the next campaign and neither will the Liberals. Idiotically, the boo-bah's who run Liberal Inc. have decided that it is wise at this time to make another foray into New Democrat territory. Hence we see a fairly convoluted attempt to pin the possible demise of the gun registry onto Jack Layton. Liberal strategists desperately hope to accomplish two goals with this. First is to leave the impression that Iggy is a strong leader, ready willing and able to whip his 8 MP's who previously voted to kill the Registry. Because it has never been the policy of the NDP to whip their Caucus on private member's bills, the Libs are trying to leave the impression that Layton is not as strong a leader as Iggy. So, with Layton consistently getting favorable ratings in the polls, the Lib brain trust feels that they must do something to pull him down and boost the Igster up. The second goal of the current Liberal strategy is to try and win back some of the urban support that has leaked away to Layton since 2006. Rather than attack Harper (whom they fear), Liberals have decided to try and pound on the NDP. It is humorous to watch and will bear few, if any electoral results. In fact, Liberal anxiety to climb back into the government benches may even see Iggy force an election this fall. Any move to do so will be as disastrous as last fall's attempt. The Liberal Party of Canada may be preparing to launch 'Liberal Lemmings version 2.0 in the not too distant future! Stay tuned! Mere minutes after publishing this post, the Globe & Mail put out a news item where Iggy welcomes a Federal Election this fall!!! .... told 'ya!! Here's the part that I don't get about the Glenn Beck / Sarah Palin desire to return to a 'time' in American history that was more honourable. Here's the part that I don't get about the Glenn Beck / Sarah Palin desire to return to a 'time' in American history that was 'more' honourable. -when Americans moved west massacring the Native Aboriginal people in the late 1700's and early to mid 1800's? -when Black persons were held and sold as property (including slave owners such as George Washington and Thomas Jefferson)? -when the USA split into two warring nations (Confederate States and United States) and hundreds of thousands were killed in the bloody Civil War? -when the USA contrived a phony crisis in order to seize Spanish holdings in the Western Hemisphere such as Puerto Rico? -when the USA sat out most of World War One as the British and Canadians fought German and Austro-Hungarian imperialism? -when the USA allowed child labour? -when unfettered 'free markets' and corporate greed resulted in the Stock Market crash and global Great Depression? -when the USA sat out much of World War 2 while Britain and Canada alone battled Nazi Germany? -when the USA continued its apartheid policies of 'separate but equal' and official segregation well into the 1960's? -when the USA entered into a disastrous war in southeast Asia that saw hundreds of thousands of innocent Vietnamese and Cambodian citizens killed not to mention all of the young Americans who died? -when college kids such as those at Kent State were gunned down for daring to demand 'PEACE'! -when political assassination became the American norm resulting in the killing of John F. Kennedy - Robert Kennedy - Martin Luther King? -when the USA armed the Afghanistan Islamic militants against the Russians with weapons that are now being used to kill American, Canadian and British troops? -when the USA fabricated claims of 'weapons of mass destruction' in order to have a reason to invade Iraq? -when the single largest ongoing reason for personal bankruptcy continues to be inability to pay for medical bills? I am simply curious. 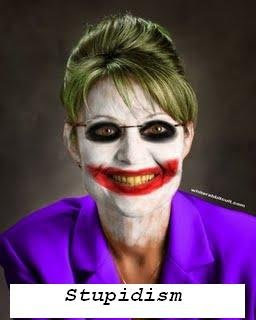 What is the 'more honourable' time in American history that Beck / Palin / and their mindless minions want to return to??? ... just asking! "If African American voters were looking for a spark to rally voters to do the right thing in the November elections, it was provided today. 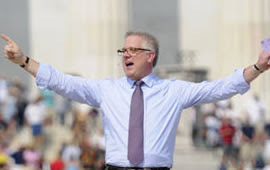 Joined by his Tea Party and Republican Party supporters, Glenn Beck today dishonored the memory and legacy of Dr. Martin Luther King, Jr. by holding a rally of tens of thousands at the site where Dr. King made his famous "I Have A Dream," speech. He also made sure his event, which he promoted on his hate-broadcast shows on FOX and his radio shows, was on the same day that Rev. Al Sharpton, president of the National Action Network, was hosting an authentic memorial rally and march for Dr. King. "It was not my intention to select 8-28 because of the Martin Luther King tie," Beck, the Grand Wizard of hate, told his listeners on radio weeks ago. "It is the day he made that speech. I had no idea until I announced it." Precisely. Beck is a huge loser if he knew and decided to deliberately spite Dr. King's memory, which is something not beyond him, since he routinely plays the race card, living well by fueling White anger over perceived gains by Blacks, at their expense. This is a man who said President Obama is a racist who "hates Whites" and also hates "White culture." Beck is even a bigger loser when he claims he selected the date for his event randomly and that he did not know it was the anniversary of one of the greatest speeches by one of the greatest human being to have lived. Certainly, he did not care. He knew of the King anniversary by June, 2010--he had ample time to select another date. An African American Republican named Lenny McAllister, refused to speak at the event when asked by the Tea Party, CNN reports. "I cannot sit on stage and co-sign on this irresponsibility," he told CNN. "I made sure I wore my elephant pin today. I am a proud Republican but I am also a proud African American man." "Whites don't own Abraham Lincoln," Beck also said, adding fuel to his verbal arson. "Blacks don't own Martin Luther King. Those are American icons, American ideas, and we should just talk about character, and that's really what this event is about. It's about honoring character." Honoring character? Can a Mafia chief hold a rally to honor the legacy and memory of crime fighting police officers? How absurd. Beck makes tens of millions of dollars spreading racist verbal arson throughout the country. At a time when the country is undergoing profound changes --politically, economically, and technology-wise-- many older Whites are susceptible to the message of entitlement spread by false messengers like Glenn Beck. Under Beck's vision --which he shares with another lethal broadcast terrorist, Rush Limbaugh, who likes calling the president Barack Hussein bin Obama-- Black gains in this country comes at the price of losses by White people. And as millions of Americans remain unemployed, Beck's and Limbaugh's messages have resonance. Millions of American jobs have migrated overseas, including to China. Why doesn't Beck foment anti-Chinese sentiments on his shows? Because it does not carry the same burden and history, as race relations between Blacks --descendants of plantation slavery-- and Whites --descendants of slave masters-- in this country. So by making allusions to "tradition" and "American values," one can see why thousands of disenchanted Whites are lured by the messages of Beck and Limbaugh. They offer the promise of yesterday, even as the nation moves forward. Sarah Palin, who has been desperately schooling herself over the past two years on things she should have learned over the last few decades, was also at today's rally. "We feel the spirit of Dr. Martin Luther King, Jr." she cynically said. "We are so honored to stand here today," Palin added. Dr. King must have winced. "Look forward. Look West. Look to the heavens. Look to God and make your choice," Glenn Beck, the convener also said. It would have been an honor to Dr. King if the heavens had responded with lightning and a downpour? Wall Is Willing To Intervene To Protect 'People's Potash' !!! "In describing the potential impact of a BHP Billiton takeover of PotashCorp, Premier Brad Wall is now using words like "transformational." "Trust me. There isn't a more important issue facing the province of Saskatchewan today," Wall told reporters Thursday. For the Saskatchewan Party supporters who whole-heartedly believe in the greater glory of unfettered capitalism in the so-called "New Saskatchewan", Wall's talk of intervening in the free market with "conditions on licences" and perhaps even production levels and royalties must come as a big shock. But ask Wall what's behind his words and you'll find that they've come from conversations with past political veterans of the resource wars from all sides of the political spectrum. And for a Sask. Party government seen by many as a bit too accommodating to big business at the expense of the people's best interests, this would seem transformational as well. For the first two years of its three-year existence, Wall's government ran hard on the notion of a "New Saskatchewan" that would no longer be held back by a stodgy 16-year-old social democrat government with its anti-business sentiments. With the Sask. Party's arrival in 2007 neatly coinciding with perhaps the biggest resource boom in the province's history -- the 2004 to 2008 record revenues in oil, gas and potash revenues that translated into record surplus budgets -- this initially proved to be a pretty easy sell. To further solidify the notion, the new Sask. 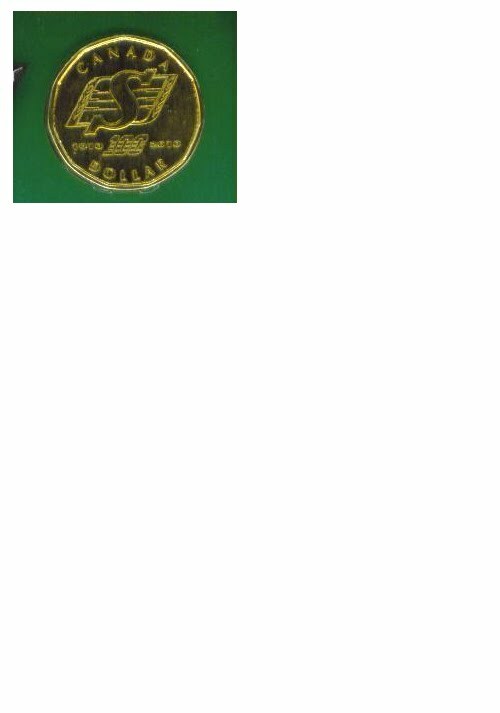 Party repealed Allan Blakeney's "Potash Production Act" that created the Potash Corporation of Saskatchewan Crown in the 1970s and introduced legislation to make unionization of workplaces more difficult. Add to this the messaging from Energy Minister Bill Boyd that his government wouldn't touch oil royalty rates (even when it was selling at $150 a barrel), and the potash companies should get most anything they want to encourage mine expansion. The emerging "new Saskatchewan" was starting to sound strikingly similar to former premier Grant Devine's "Open for Business" era . . . or at least, that seemed to be the case until the recent rather transformative developments in the potash industry. First came the 2009 potash sales crash that sent the loud message that all the catering in the world to this industry -- including generous royalty holidays for new and old mine development, corporate office jobs, miner employment, etc. -- doesn't always result in the delivery of the economic reward promised. And now comes this summer's $38.6-billion takeover bid of PotashCorp by the Australian-based mining giant BHP, creating newfound worries in government ranks that new corporate ownership will overproduce to drive down potash prices and undercut competitors -- a move that would reduce Saskatchewan's potash royalties. But as much as it appears that Wall's interventionist talk contradicts his government's free-enterprise mantra for the "new Saskatchewan", the premier contends his approach is consistent with both past practice and his government's vision of the new Saskatchewan. "The new Saskatchewan is keenly aware of the resources we have," Wall said in an interview Friday, further noting potash's "strategic importance as a provincial resource that the rest of the world wants." Wall said his new approach came after recent conversations with former Alberta premier Peter Lougheed (who led the 1970s fight over provincial control of resources), Devine and even former NDP premier Roy Romanow. While reluctant to divulge specifics of the conversations with the former premiers, Wall noted that "pragmatism is the branch between all ideologies" and that all three have very similar views on the most pertinent issues. That view, Wall said, was best summed up by Lougheed who told him: "The resource belongs to the people," and; "There's absolutely nothing wrong with any government of any stripe putting conditions on the development of its resources." Asked if this means he is willing to risk BHP Billiton pulling out of the province altogether, Wall reiterated that it's the people's resource and Saskatchewan potash will be there long after any mining company. Some might see this change in the Wall government as rather transformational. Or, it might be an admission that the new Saskatchewan isn't so different from the old Saskatchewan, as some have suggested. - Mandryk is the political columnist for the Leader-Post. All Of A Sudden Right Wing Premier Brad Wall Begins To See The Flaw In The Ideology Of 'Unfettered Free Markets'! When a younger Brad Wall worked as a ministerial assistant during the corrupt Grand Devine Conservative administration, he bought into all of the right wing ideology concerning 'privatization' of Crown Corporations. He therefore got in line and cheered Devine's sale of the Potash Corporation of Saskatchewan (PCS) into private hands. But what is this? ... Now that a major international mining company is looking at buying PCS, Wall is starting to see the wisdom in some local control. In fact, rumours are afloat that Premier Wall is considering Legislation to 'fetter' the so-called 'free market' options of BHP, the multi-national that is interested in purchasing PCS! Will Right Wingers EVER learn?? "“Government potash tax revenues typically rise more from price, rather than volume increases,” BMO Nesbitt Burns fertilizer analyst Joel Jackson said. For the province, the concern is that if BHP overproduces, “that could have a detrimental effect on price,” Saskatchewan Energy Minister Bill Boyd said in an interview this week. BHP says its acquisition of Potash would bring economic benefits and has promised to comply with a Saskatchewan law requiring the company’s head office to remain in the province. Canada’s federal government said it is reviewing the takeover to assess its benefits for the country. The Royal Canadian Mint will soon be issuing a commemorative $1 coin celebrating the Centennial of the Saskatchewan Roughriders: 1910 - 2010. This is an exlusive first peek! Considering that the vast majority of Canadians (the Solberg family included) have immigrant roots, you have to wonder why Right wingers like Monty hate newcomers to Canada so much. We have about 30 million people living in the world's second largest country. "Almost the first issue I had to deal with when I became minister was the thousands of illegal Portuguese workers who came to Canada to visit, never to leave again. Most ended up working construction in Toronto where they raised families and became otherwise great neighbours." First of all, what exactly is a "secret government survey"? Does that mean a poll? A focus group? A voluntary questionnaire? Were respondents randomly selected from the total Tamil immigrant population - not that I'm sure how, exactly, one would do that -- and then weighted so as to be representative of the whole? How was it conducted -- and by whom? What was the margin of error?" "Political mathematics are endless fun. For example, our friends at ThreeHundredEight.com make a pretty good case that, contrary to some recent discussion in English Canada, giving more seats to Ontario, British Columbia and Alberta probably doesn't alter the political chessboard. It is still very hard to see, even after redistribution, how any of the three national political parties can put together a majority government as long as the Bloc holds most of Quebec's seats. Another interesting piece of political math is the failure of Stephen Harper's Conservatives to grow or thrive beyond their base. In the 2000 election, Stockwell Day's Canadian Alliance got 25.49 per cent of the vote, and Joe Clark's Progressive Conservatives got 12.19 per cent -- a total of 37.68 per cent. Mr. Harper's unified Conservative Party rarely polls that high. He has made progress in the seat count thanks to the undemocratic perversity of our electoral system. But very little real progress with Canadians themselves. Two-thirds of Canadians still reject Mr. Harper, his ideology, his party and his government -- just like they did ten years ago. Why can't the Harper Conservatives do better? Because issues like two illegitimate and inappropriate prorogations, the apparent muzzling of the RCMP's gun registry coordinator, and the gutting of a key component of Canada's census all tell Canadians the same story about this government. Canadians can't look to it to be respectful. And that they can't look to it to be fair. "Respectful" was once a core principle of Canada's Conservatives. Respectful of the dignity of the Crown and the central role of Parliament in our system of government. Respectful of the police. Respectful of independent officials doing their job in the public interest. But this government respects nothing about our country, its democratic institutions or its public service. These are the same people who put Ontario premier Ernie Eves up to delivering a budget speech in an auto plant instead of in the provincial legislature. They haven't changed their spots. "Fairness" is part of the character Canadians look for from all governments of all political stripes. Fairness towards other players and parties in the political system. Fairness to citizens. Fairness to public employees and officials. But this government still plots to bankrupt its opponents, and runs roughshod over anyone who stands in the way of its political agenda. What is that agenda? Fundamentally, it is a calculation that if they can speak to and turn out their minority vote through a series of micro-moves, it won't matter what the majority thinks. Canada's majority gets that signal from Mr. Harper -- again and again, loud and clear this summer in the census issue and more. Which is why his party's political math hasn't gotten much better, so far, despite four years in office." Brian Topp is executive director of ACTRA Toronto. He also serves as chair of the board of Creative Arts Savings and Credit Union, and is a member of the board of directors of ROI Fund, a venture capital fund. He previously served as a senior vice-president at Credit Union Central of Canada, the national office of Canada's credit union system outside of Quebec. He served as deputy chief of staff to Saskatchewan premier Roy Romanow. He co-ordinated the federal NDP's campaign war room during the 1997 and 2004 federal elections, and served as that party's national campaign director during the 2006 and 2008 elections. So many screw-ups by the governing Conservatives. Day after day they stumble around with their idiotic post Reform Party ideology, screwing up one thing after another ... telling one fib after another to try and cover. "We want our governments, no matter which ones we elect, to at least be smart with our money. But this week, we got more evidence the federal government can be one dumb son-of-a-gun. And, no, I’m not talking about the census. That was really dumb, too, and the tiny tweaks offered up Wednesday by Industry Minister Tony Clement don’t make the government look any smarter. In fact, you could say the government’s gone from dumb to dumber on that file. Removing some of the legal sanctions you might face for failing to fill out the mandatory short-form census that everyone gets now likely means more will not fill that form out. So now the data from both the long-form and the short-form census — which will cost us millions more to collect — will both be less reliable. But no, I said I wasn’t talking about the census. The latest evidence Prime Minister Stephen Harper’s Conservatives do dumb things comes from Parliament’s budget watchdog, and it’s about how Ottawa is going about spending $4 billion on one of its infrastructure programs. Watchdog Kevin Page, the parliamentary budget officer, looked at this program and said, first, the government itself doesn’t seem to have enough information to be able to assess how it’s working — that’s dumb — and, second, because of an arbitrary deadline Ottawa has set, as much as $500 million worth of projects may not get done or, if they do, someone other than the federal government will have to pay for them. That’s dumber. That “someone else,” by the way, is likely to be municipal ratepayers who could have to cover off a big chunk of the fed’s recession-fighting stimulus program. I have posted a number of stories about massive flooding in Saskatchewan this year. One of the end results is that a lot of federally funded infrastructure projects are months behind and will likely not be completed by the original target date of March 31, 2011. To date, the Harper government has displayed a rigid cavalier attitude to the problem, confident that they will hold their federal seats in Saskatchewan. We will see! Harper spent over a Billion dollars for the G8/G20 .. gazebos ... roads to nowhere and other useless expenditures in swing Ontario seats. But he turns his back on Saskatchewan. Bring on the election .. I can hardly wait for the Conservatives to turn up on my doorstep!! Today, the Federal New Democrat Opposition called on Harper to do the right thing for the province. Saskatchewan has been severely hurt this spring and summer by extremely unusual weather. Huge parts of the province have been flooded out. As a result, many municipalities are behind schedule in completing much needed infrastructure projects. Our premier, Brad Wall has been completely ineffective in making Saskatchewan's case to the Harper, Conservative government. More and more Saskatchewan voters are becoming aware of the the fact that Harper as Prime Minister and Wall as Premier is a BAD combination for the province. "There is a certain perverse pleasure in observing a dogfight in which one has no dog. So it is in this national dogfight over the census. How it shakes out makes not the slightest difference to me. I mean, it's the census. Who cares? Mr. MacPherson, is a good example of the ignorant attitude towards reality displayed by our Conservative government when it comes to the Canadian Census. These bland individuals crave a 'dumbing down' of the nation in order that their lazy brains don't have too work too hard. Lazy intelligence prevents them from grasping REALITY and they want the entire nation to join them in their ineptitude and adherence to flawed, failed 19th century corporate ideology. With regard to Harper's gutting of Canada's census data, Mr. Macpherson asks "who cares"? The real question here SHOULD BE ... why don't YOU care about factual reality? We already know the answer to that question. The Right simply wants to adhere to their ideology. They place more value on what they 'think' than what they 'know'. Anything and anyone who puts hard facts in the way of their ideological goals, feels the consequences of their wrath. Once again, Harper has gone too far. He simply assumed that the rest of the nation doesn't care about reality. We do. Harper has lost this fight. Canadians care. "Time is needed to carry out our economic plan. Canada cannot allow a break in its economic recovery plan with an unnecessary election." "The time has come for the minority Conservative government to speak or forever hold its peace; i.e. come up with concrete evidence to back their dubious claims as they struggle to justify changes to the census. As of Aug. 3 the Tories, badly fumbling this issue, had five days to come up with all the documents they say justify eliminating the long form census. Nothing had appeared by Thursday. The refusal to come up with the required documents speaks to the problem that has created this problem, and it is summed up in one word -- arrogance. There are a host of problems emerging, the least of which is that the Tories risk alienating Canadians even further. This is a time when Canadians need leadership, not power politics. We have a party that is ruling without a mandate of the people and an ineffective opposition. And given that this situation is likely to continue for some time, since it's obvious that Canadians will not give Stephen Harper and his party a majority, it's time for Harper and his party to begin behaving in a more responsible manner. It is nothing more and nothing less than sheer arrogance for Industry Minister Tony Clement to claim that scrapping the long form census was intrusive and can be easily replaced with a voluntary form. In case neither Harper nor Clement has noticed, the population of Canada now stands at more than 34 million people. This not a small town where it's easy to get consensus and make decisions after a town hall meeting. Administering a nation of 34 million people requires a great deal of accurate information if it is to be done effectively. For decades Statistics Canada has done exactly that and this country has been able to administer itself with an efficiency that is the envy of the world. And one of the most effective tools we've been able to use is crime statistics. In addition to waiting for prior-mentioned documents, Canadians are still waiting for Treasury Board president Stockwell Day to come with the numbers to prove his assertion that unreported crimes are going up. We're not holding our breath. Statisticians have stated the obvious, that because they are unreported it's impossible to gauge. We have to wonder about the quality of leadership under the Tories when a senior member of the cabinet makes such silly statements. The arrogance of the Tories, we are now seeing more clearly, is little more than bluster to cover the fact that they are truly lacking when it comes to governing. 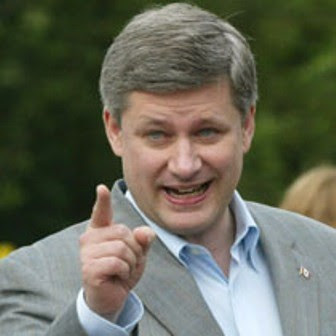 Harper knows that without tight control over anything said in the media, they will very quickly be revealed as bumpkins. The strategy has worked as they have torn into one of the brightest men on the political scene, Michael Ignatieff, even if he is at least as arrogant. Ignatieff may have other problems, mainly with his party, but intelligence is not one of them. **The issue around the census reveals to Canadians that what's happening in Ottawa is no longer being conducted in their interest. The desperate lengths to which the minority Conservatives will go to get votes for the majority that will never come has become a drag on doing the necessary and important business of the people in parliament. If the Harper Conservatives want legitimacy, then they should come out from behind this cloak of arrogance by first reversing their position on the census. Canada needs leadership now, not political posturing." "The Conservatives have proposed legislation that would introduce mandatory minimum prison sentences for marijuana producers. If passed, the legislation would result in spending billions in order to put more people in prison – the exact scenario that lead California into severe debt and towards legalisation. Even more stupefying, police in Montreal recently raided a "compassion centre" that legally distributes medicinal cannabis, and Conservative politicians have started calling for medicinal centres to be shut down across the country. Meanwhile, the Liberal opposition, who when still in power tabled a decriminalisation bill, have rolled onto their bellies and supported Harper's crackdown on pot. It's a startling departure from the situation seven years ago, when Canada was a global leader in marijuana reform. Back then, there was the political will and the only obstacle to progress was the Bush administration. But the only government worth blaming today is our own. What the world will get from Canada now is a demonstration of what to avoid – the spectacle of a nation intentionally sabotaging itself for reasons that don't even deserve to be labelled ideological. Looks like we might get that double dip after all." ... will be a GREAT and GLORIOUS day for Canada!! "Leaving aside, for the moment, the minister's (doubtless unintentional) muddling of the waters on the decision to abolish the mandatory long-form census -- although it's probably worth pointing out that, despite the minister's comments, the maximum possible fine for refusing to fill it out is $1,000, not $10,000 -- it was his "concern" over an allegedly "alarming" increase in "unreported crime" that seemed to most perplex the attending press. Just what, Day was asked repeatedly, if politely, did he mean by the "unreported" crime rate? Isn't that a contradiction in terms?" "The Treasury Board President also faced questions about the Conservative government’s commitment to cutting the deficit while spending billions of dollars on new prisons while the crime rate is, in fact, declining. Mr. Day doesn’t buy the view that crime rates are declining. Rather, he maintains crime is going unreported in Canada at “alarming” rates. “It shows we can’t take a Liberal view to crime which is, some would suggest, that it is barely happening at all,” Mr. Day said. “Still, there are too many situations of criminal activity that are alarming to our citizens and we intend to deal with that.” Reporters were left scratching their heads. “I will follow up on that because I am baffled,” Sun Media’s Ottawa bureau chief David Akin said. “There is a statistic about unreported crimes? I mean if they are not reported by definition we have no idea about these crimes. “You are just not making sense or I may be just a dolt and I don’t understand. Help me out on this one.” In response, Mr. Day made vague comments about bankcard theft, fraud, home invasions and identity theft. And he promised to send Mr. Akin some statistics. 1. An autocratic ruler with little political credibility, but with self-delusions of grandeur. 1. a routine or act that is the trademark of an entertainer, especially in vaudeville. (Yiddish.) : His schtick was a trained dog and cat act.